Guest can take a break and trial Bemer see if it works for you. Near Tarka trail for bike hire,10 minutes to Instow beach. 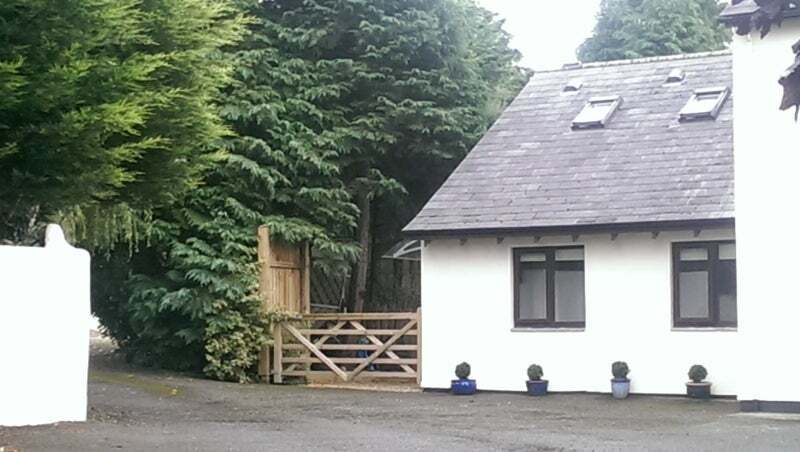 Ideal for Lodgers, Holiday stays, Self Catering tucked away in a quiet and peaceful retreat. 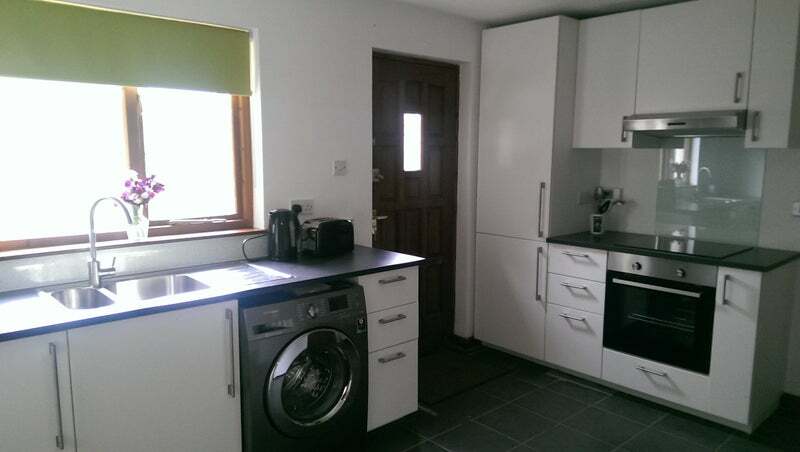 Close proximity to Tarka trail and bike hire, 10 minutes from Instow beach. Barnstaple town centre. Barnstaple Train Station (1.6 miles) with college and hospital near. Find out more on home page: Can Bemer therapy help you? Why not arrange an appointment. Stylish, Contemporary Furnished Self Catering Studio First Floor Rooms. Studio lounge kitchen ensuite bathroom shower . Guests can enjoy a stylish contemporary self-catering Studio, double room with TV. There is a second double room with flat screen TV, if required price negotiable. This studio has a open plan kitchen lounge with small sitting area, drop leaf dining table and a well-equipped modern kitchen with electric oven, hob, fridge and microwave with en-suite bathroom, and shower facilities. 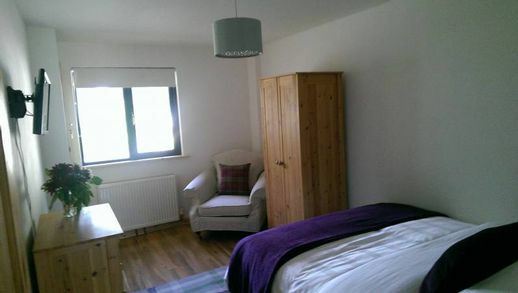 Second room (£100) extra for more personal space, for short stay and holiday lets. Rate negotiable. All bills included. Long-term (1-6 months) £595 p. c. m. with £595 deposit. Individual Room Prices with self-catering: Double room (based on 2 people sharing) Daily £50 Weekly £350 If, you require a Double (based on 2 people sharing) Daily £50 Weekly £350 Double room for(single Occupancy). Daily £50 Weekly £300 Monthly from £480 p.c.m. Depending on availability one / both rooms can be rented for individual or group requirements, as a fully furnished self catering ground floor apartment. Perfect for smaller families and couples at any time of the year. The Studio with its open plan style living area, modern kitchen, stylish bathroom and central heating, provide all you need for a truly comfortable stay. Short Break First Floor Lodgings from £146 – £653 / OVERNIGHT STAYS. £598 p. c. m (all in). Suitable for single and couples negotiated. EXTRA ROOMS 1 & 2 First floor can be made available with their own WIFI and Flat screen TV. A Buddy UP Price can be negotiated on rooms required and discussed on viewing. Guests can enjoy a stylish contemporary house share. The facilities include: open plan kitchen lounge with sitting area, drop leaf dining table and a well-equipped modern kitchen with electric oven, hob, fridge and microwave and adjacent bathroom, with shower washbasin facilities, central heating with access to house washing machine. 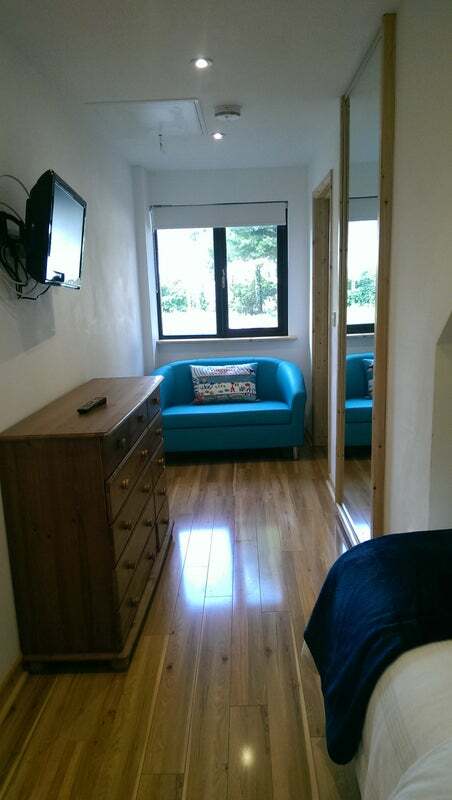 For Single occupancy only double bed £480 p. c. m.(per room) gas, water, electricity, WIFI included. GROUND FLOOR ROOM One £480 p. c. m.(All in). COUPLES- The only room we have suitable for couples would be ground floor room two: see image subtitled ground floor room two. See also ground floor kitchen house share. For couples we charge a(50% additional monthly room fee. Guests can enjoy a bright contemporary and spacious shared kitchen experience. The ground floor has a well equipped modern kitchen with breakfast dining area, electric oven, hob, fridge, washing machine and microwave. The ground floor has a shower room wash hand basin with large shower and WC. Both ground floor rooms are double bedrooms each with flat screen TV. We are located in the village of Bickington a quiet and peaceful location on the outskirts of Barnstaple close to local shops and on a busy bus route(every 10 minutes) into Barnstaple town centre. Barnstaple Train Station(1.6 miles)with college and hospital near. Close proximity to Tarka trail and bike hire, 10 minutes from Instow beach. Phone or please feel free to text: 07760768572 for more information.